A complete and natural raw diet. Our recipes provide all the nutrients that your puppy needs. Cotswold's raw puppy food range is a complete and natural dog food diet for growing, working puppies. Feeding our raw recipes provides all the nutrients that your puppy needs. 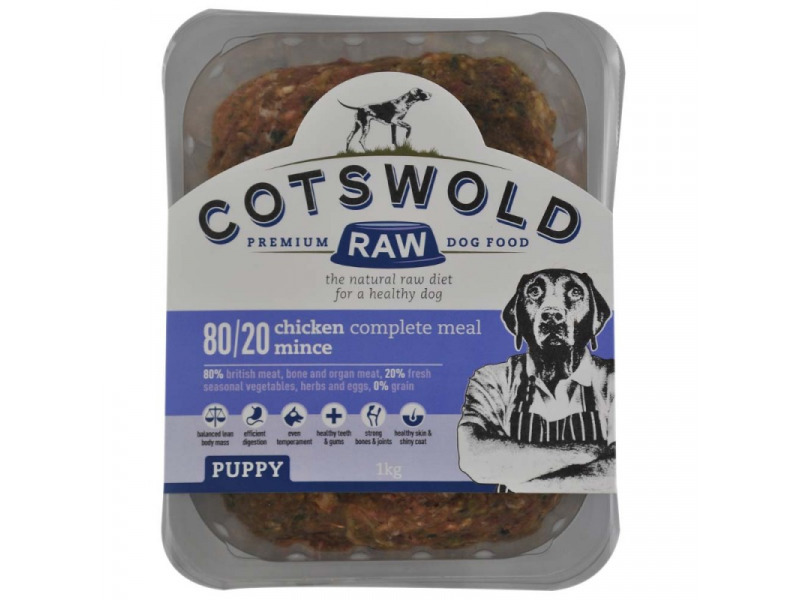 Cotswold's Raw Puppy Range is based on the 80/20 recipe with the ideal energy density and calcium to phosphorous ratio for young puppies. There are currently no questions for Cotswold Puppy - be the first to ask one!